The Procon pumps are high precision pumps, and must operate under a controlled environment. They are not recommended for general public use, only competent and experienced technician should install or service these pumps. We guarantee all our rebuilt Procon pumps for a period of 6 months from date of purchase. All our rebuilt Procon pumps are rebuild with a 100 % new original Procon parts and use Procon’s new pump specifications. We guarantee all new Procon pumps for a period of 12 months from date of purchase. In both cases the warranty covers, material defectiveness and/ or workmanship. In no case, M.L. 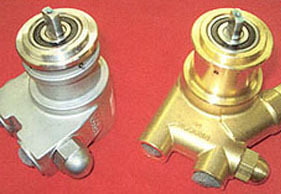 Parts will replace a defective pump by a new one. The Procon warranty does not cover “road or field hazard” for any reason that would temporarily modify the inlet flow and or let debris going though the pump, it is the customer's responsibility to verify that there system has sufficient clean water going through the pump at all times. Procon pumps are very reliable and long lasting under good conditions. The internal parts are made of graphite and need to run with more flow at the inlet than the pump flow rating. 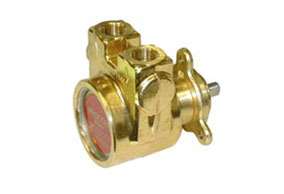 These pumps can not run dry or with insufficient supply without damaging them. Procon pumps can not run with particles or dirt more that 100 mesh or 150 microns (.006 mil.) in the water that it pumps with out damaging the graphite parts. Ask for a typical installation chart to help you obtain a long and reliable working pump. ML Parts will not be responsible for any damage or transport cost related to defective pumps. ML Parts offers 4 different seal assemblies for Procon pumps (New and rebuilt), for special and limited applications The seals offered for these pumps are: Nitrile Buna (standard), Viton / fluorocarbon, ethylene propylene, neoprene. ML parts will not recommend or approve any choice of seals that customers decide to use. We can supply a technical chart to help you decide what seals you would prefer, but it is to the customer’s risk and responsibility to make a choice. * No warranty is given on pumps that are used with other liquids than water. All returned items are subject to a 40 percent charge (including credit card commission charge, 2 ways) and have to be in perfect condition, for resale. All returned items will be inspected and tested before any credit is issued. If repackaging is necessary, extra charges will apply. In no case will M.L. Parts will replace a defective pump by a new one. All defective pumps have to be sent in, at customers charges and we will evaluate it before repairing it under warranty. When sending us your pumps to be rebuilt or evaluated, please take all the fittings, adaptors, or motors off, before shipping them to us. If we receive pumps with fittings or other attachment, a surcharge will be added to your repair cost to remove them and they will be scrapped.